Mobile apps are already taking over different domains. From healthcare to smart homes, mobile apps are a go to when it comes to anything and everything. It is quite clear why this is happening and what is going to be the future of mobile apps. There was a time when television, radio, and other devices used to hold much importance in people’s life but now all those things seem unnecessary. People are switching from television, radio, computer to one single device: smartphones. How is it possible that smartphones have been able to replace these mega devices? With the help of mobile apps. After having entered some of the major domains such as healthcare, entertainment, travel, etc., mobile apps made their way into the political domain. Having political mobile apps is beneficial for both, political candidates and their supporters. The first ever political mobile app was launched by Barack Obama for his presidential run. The app allowed users to contact other friends from different districts, had a news feed section, donation interface, and other features to inform about events taking place. This initiative by America’s Ex-President Obama was highly successful and showed surprising results. After all, nobody had thought about it before. 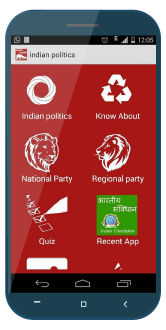 Once this app came into limelight, all the political parties all over the world started going for a political mobile app. And this is how mobile app development companies got another domain to flourish in. In recent news, we saw that modern technology is being used in other parts of politics. It was reported a while ago that Thailand used Blockchain Technology for voting as it would make the whole process easier and accurate. This showed how much technology can help politicians as well. They need to reach their supporters and technology would be a great way to do that without spending much on traveling. It’s been a while since political apps became a thing. Today there are numerous apps that make it on the top lists of best apps for politics. We searched and found the top six political apps for you. Here, let’s look at them one by one! The White House app offers many great features to the users. 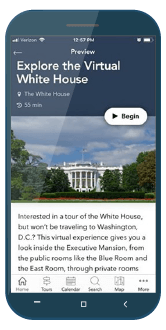 Some interesting features are a virtual tour of the white house, a tour map of the White House, etc. This app has become of the most associated things with the White House. The official website of White House has a detailed article on the app and everything else related. Congress+ is a political app for Android and iOS users. The app allows users to see what events and bills are coming up next. It also lets the users see what their representatives are doing on a regular basis. The app has notifications feature that notifies users of the latest news immediately. 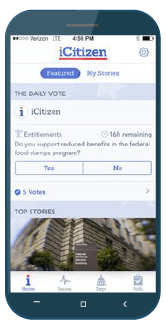 iCitizen is a political engagement app that has more than 300,000 downloads. The app has amazing features that interest the political supporters. It lets users track the political issues they want to know about. There are about 18 different policy verticals to choose from. Other great features of this app include following the candidate of favor and polling capabilities. The app ‘Narendra Modi’ is the official app of the prime minister of India. It is used to bring the latest information to the public as well as lets the general public contribute towards various causes by means of donation. Another attractive feature is that the app allows direct messages and emails from the prime minister himself. Indian politics is one of the best political apps 2018 had. 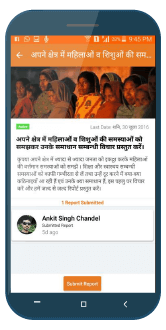 The app not only shows all the sides of politics but also provides news on every other related topic. Users love this app for the wide range of information it provides. The political mobile app has more than 10,000 downloads on the Google Play Store. How do politics benefit from mobile apps? 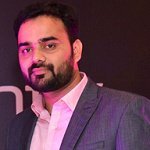 As soon as mobile apps entered various industries, they started seeing the benefits and limitations of having mobile apps. But the reason why most people don’t focus on the limitations is that the benefits are too important and too many – the reason why more and more parties are getting attached with political app development company. Politicians need to create awareness about their political agendas and future plans. 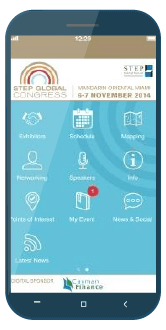 An app for political action helps create awareness about the upcoming events. The more the people know about the candidate’s intentions, the better opinion they will form. When Obama launched the first-ever political app, he had a vision of using the app to raise money for campaigns. Many politicians use mobile apps to raise money for a good cause. The public is more than happy to contribute little sums of money for the betterment of the whole. Even a little sum of contribution by a large group of people can result in huge funds. This fund can be put to great use by the politicians. India’s current PM, Narendra Modi, has his personal app which he uses to send messages to the people of India. With the help of mobile apps, reaching a larger audience becomes possible. Also, mobile apps are connected through the internet which means anyone and everyone can access it. The more supports learn about politicians, the better engagement on the app. When candidates express their honest ideas, believes and encourage supporters to put in their thoughts as well, it makes the candidate look super friendly. Engagement in an app will bring more awareness to the general public. Sometimes the general public is not aware of the issues that the politicians have to solve. 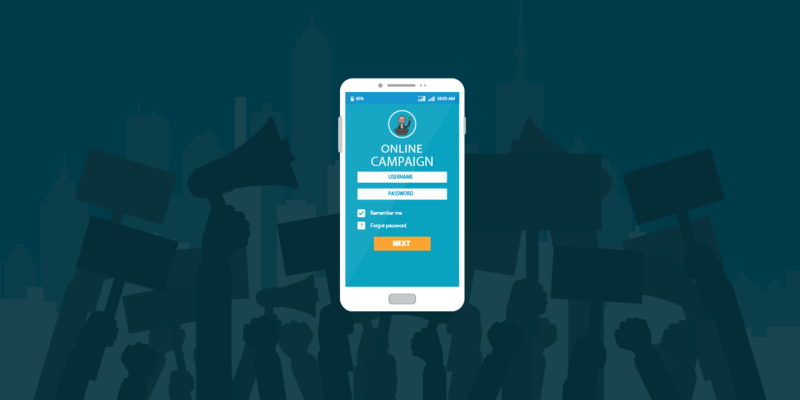 Political apps can be a great way of informing the public about certain topics and making them understand the state of the country, state or city. It is often asking of the politicians that they should be honest with their agendas but due to the absence of a medium, it was not possible. Now that mobile apps have entered the political domain, things are becoming more informative and clearer. This is one of the most important benefits of political apps. Politics is run on social media now and having an option to share the latest news on different social platforms will bring more audience. The increase in sharing will result in more engagement in the app and will simultaneously create more awareness. Many politicians run surveys to understand the problems of the general public or get their views on certain topics. Surveys also help in gathering information about a situation which helps politicians in taking necessary actions. Such regular interactions between the candidates and public will create a trustful bond. If an event is coming then surveys can be used to gather necessary information. The same information can be used to improve things and take actions. Important features any political app must have. The UI and UX of the app should be simple at the same time should be unique. The importance of UI/UX in app development is a lot more than the performance of the app. Most political apps are built with the most boring UI which ruins the user experience completely. This results in less traction and engagement. At the same time, it should also be seen that apps don’t have complicated designs. If there is too much going on at the same time, then the focus from the main element i.e. the information, shifts. Sometimes plain features make an app boring. Adding motion and animation brings the app to life. The apps need not have heavy animation but some simple animations would be fine. For instance, when a user logs in with the wrong ID or password the screen shows a shaking effect to notify about the mistake. These simple motions can make the overall user experience a lot better. Providing information is one thing but the medium used to convey the information is another thing. There are mediums like audio, videos, images and GIFs that can be used to create content that makes grasping the information an interesting thing. Sometimes an image says much more than a paragraph of plain text. The more engaging visuals the app has, the more it is liked by users. Notifications are a must for users especially for those who are too busy to check their mobile phones regularly. A push notification about the latest news will remind them about the app, increasing the use time of the app. Enabling necessary engagement features makes the app more usable. Adding features like live chat, comment section, like and favourite option, share on social media, etc. increases the app’s engagement. These features are a must as social media is the most powerful tool and the users would like to stay connected to it. These were our views on how mobile apps are influencing the political domain. If you have a political app idea and want to get your political app developed, contact us at Appinventiv.